The 22' Hazardous Rapids' toxicity is a league of its own as you slide past barrels full of hazardous material at a fast speed! 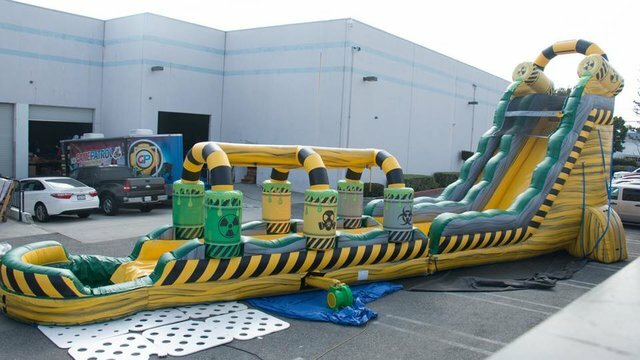 This 22 foot tall unit combines the fun of our inflatable single lane water slide and inflatable slip 'n slides into one exciting water experience. Riders emerge from the hazardous area at the top to plummet 22-ft, launching towards the pool below. No hazmat suit required. Reserve for your party today!